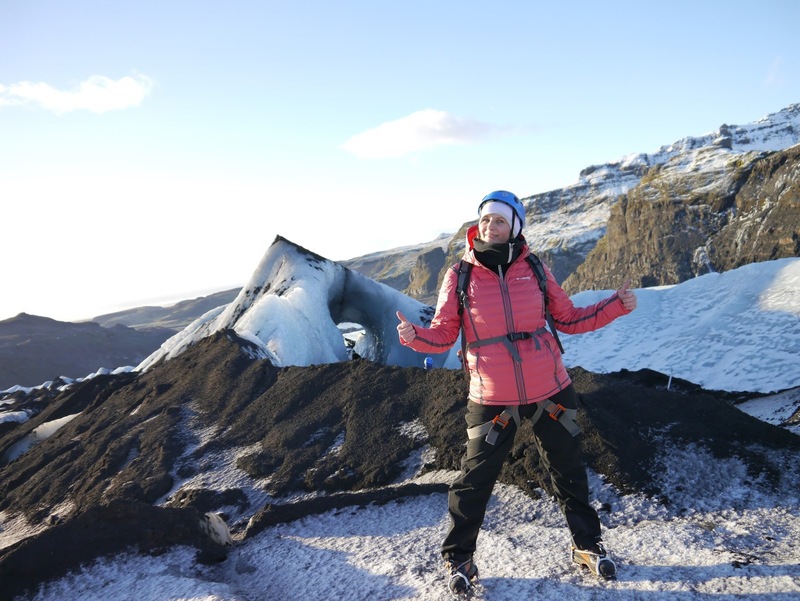 This is a story written by Margita, a travel blogger that joined us for a glacier hike on Sólheimajökull. If you would like to follow her adventures and her beautiful stories you can read more at www.gleeoflife.eu. She was so kind to let us share her experience. 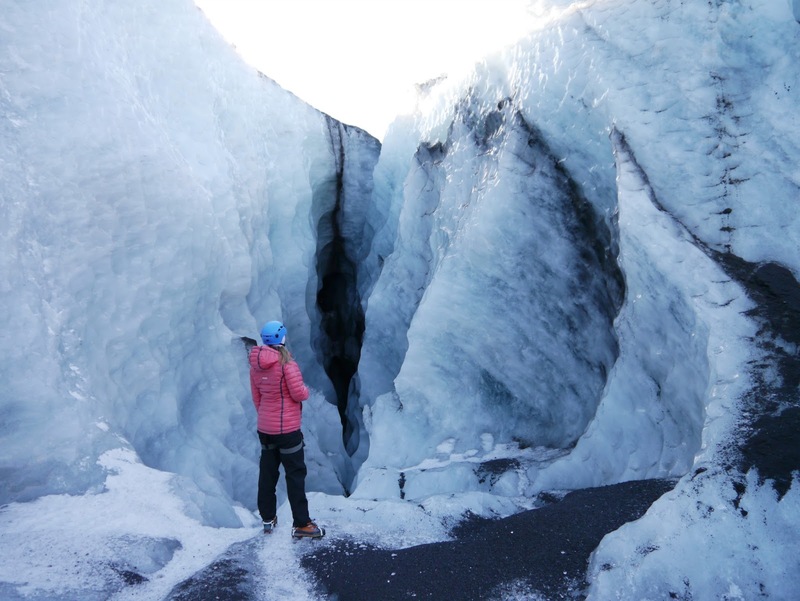 The glacier hike was the highlight of my trip to Iceland this month. I teamed up with Asgard Beyond to take me on this amazing adventure in the South of Iceland. 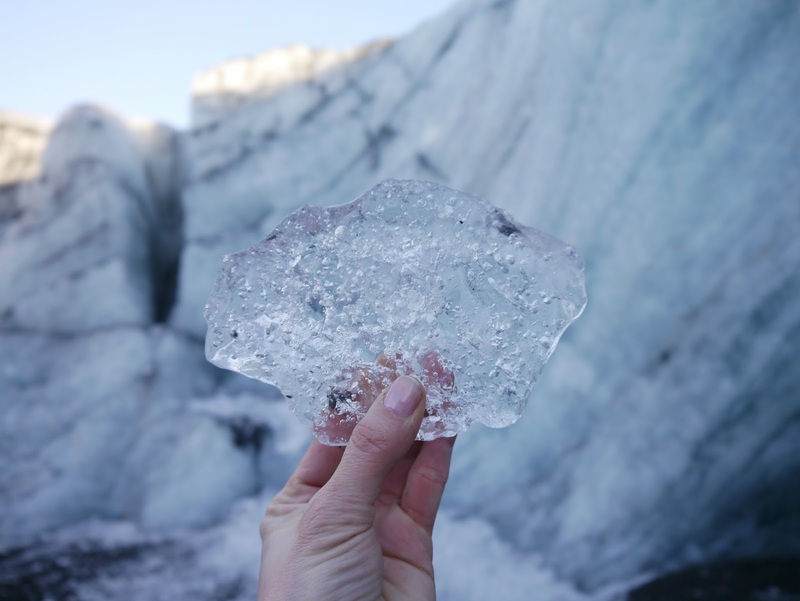 The glaciers are a true natural phenomenon and it's amazing to be able to walk on ice that formed thousands of years ago! 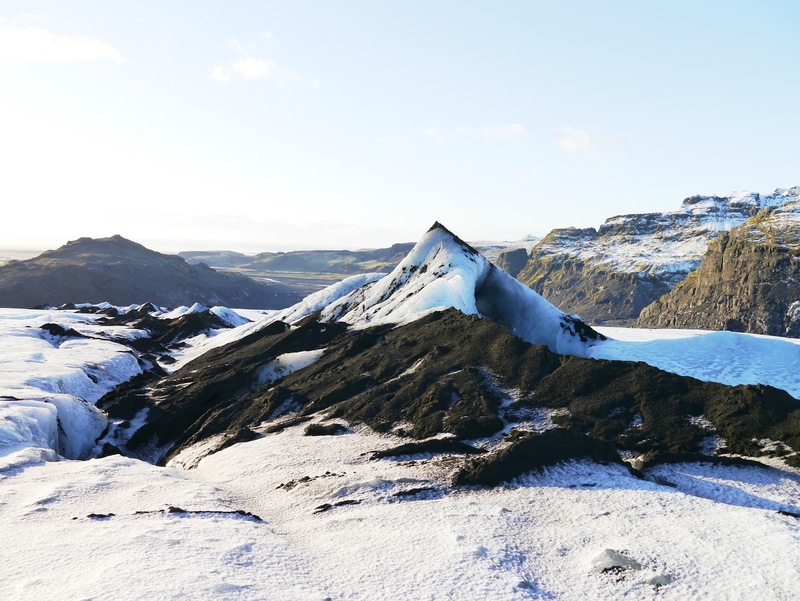 Sólheimajökull glacier is a part of Mýrdalsjökull, Iceland‘s fourth largest glacier that covers the infamous volcano Katla. 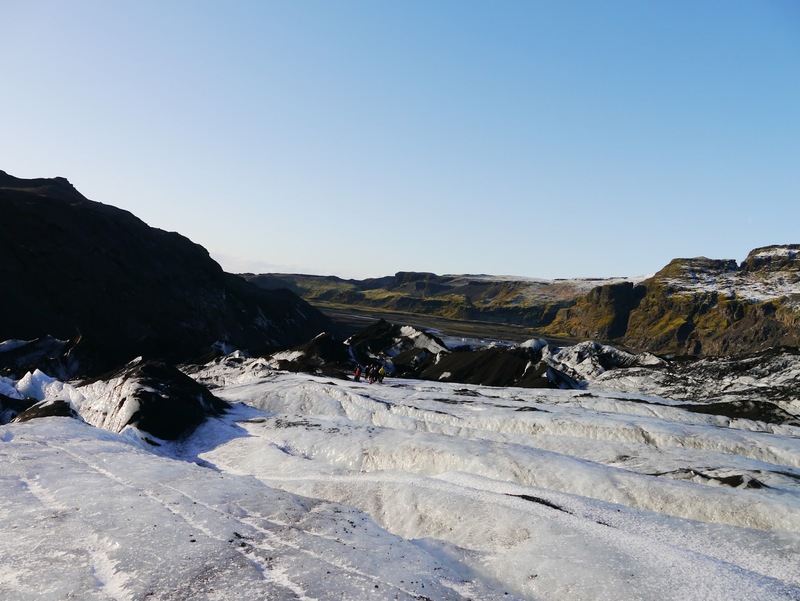 Sólheimajökull, the incredibly shrinking glacier in the South of Iceland, has changed a lot in recent years due to Iceland’s volcanic activity. It reduces by massive 80 meters in length and 23 meters on surface each year. 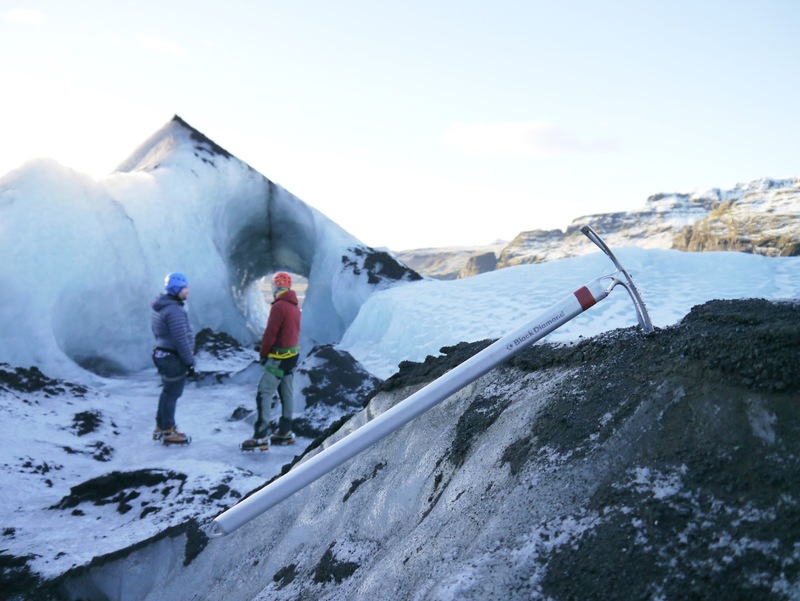 And since the bottom of the glacier is below sea level it will probably leave a lake behind it. 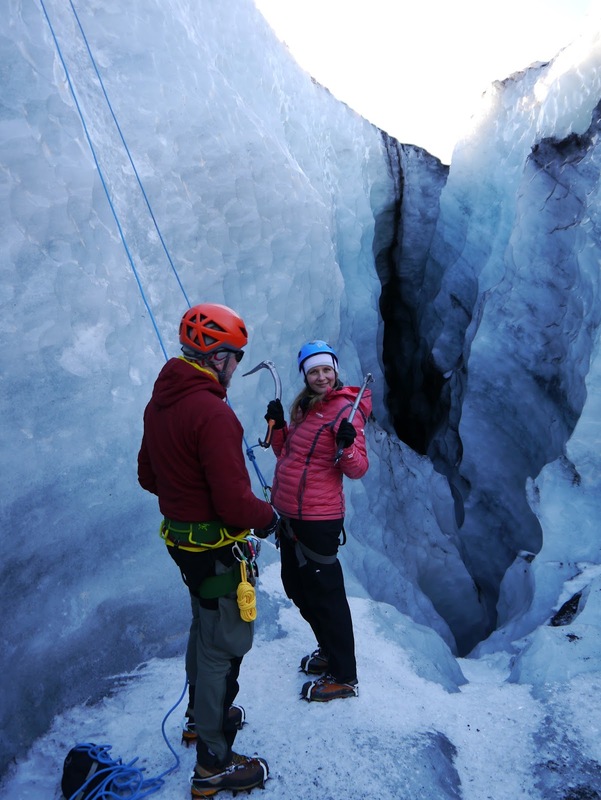 We got all kitted out with a harness, crampons, and helmet, went over safety features before we set foot on the glacier. Our brilliant guide Gulli was extremely knowledgeable and made us feel very safe. 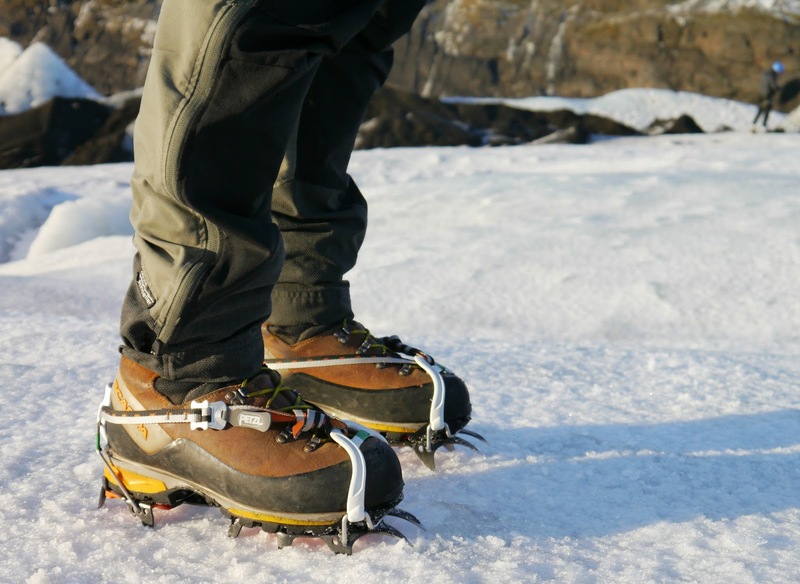 Let me tell you walking on a glacier is quite strenuous, but those crampons certainly do their job! 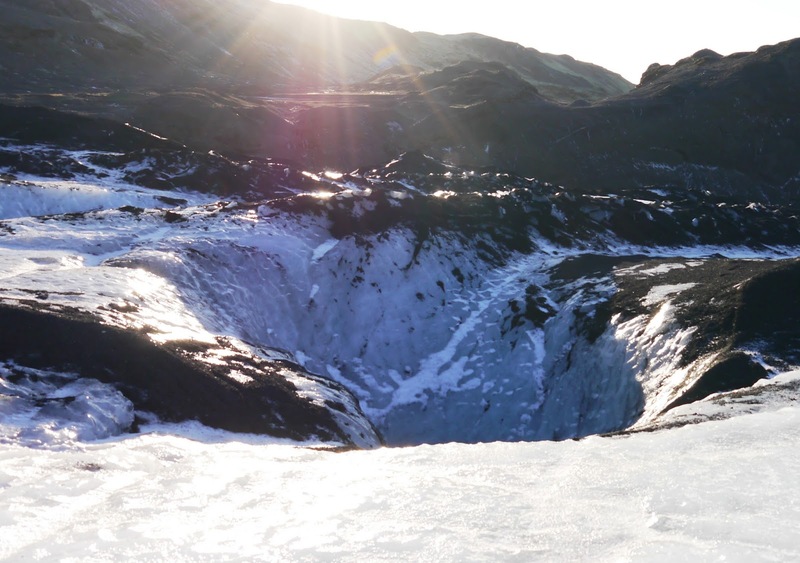 This place is full of sinkholes, streams running across the ice and lines of ash revealing many eruptions throughout the millennia. 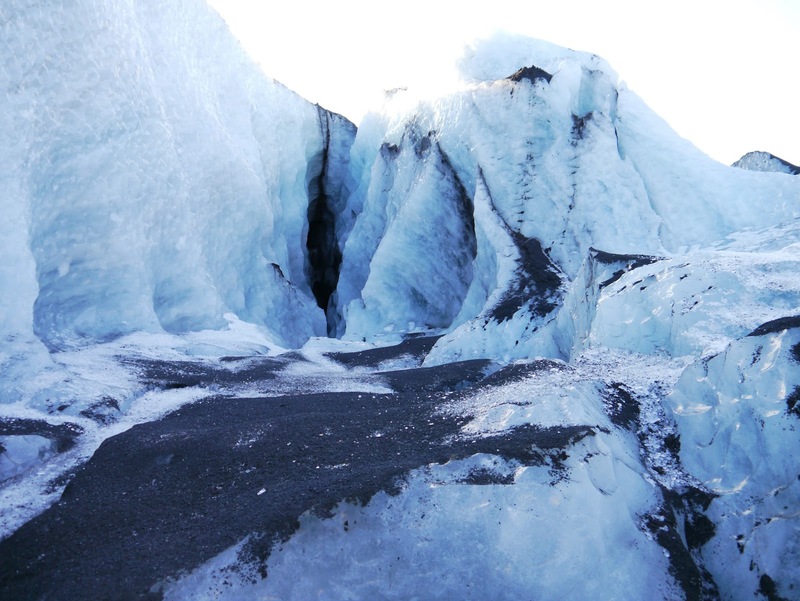 After Eyjafjallajokull erupted back in 2010, the entire glacier was black with ash. 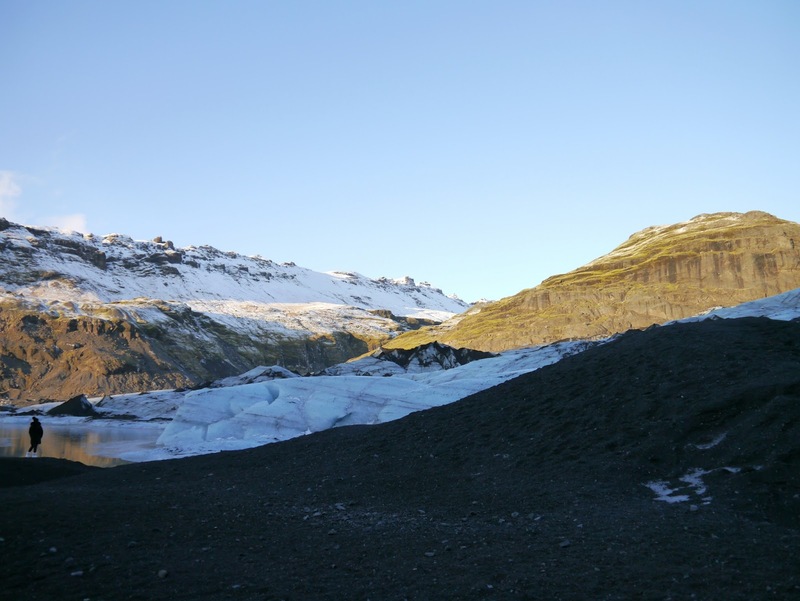 But what is interesting, that the ash we see today is from the eruption of Katla in 1918! 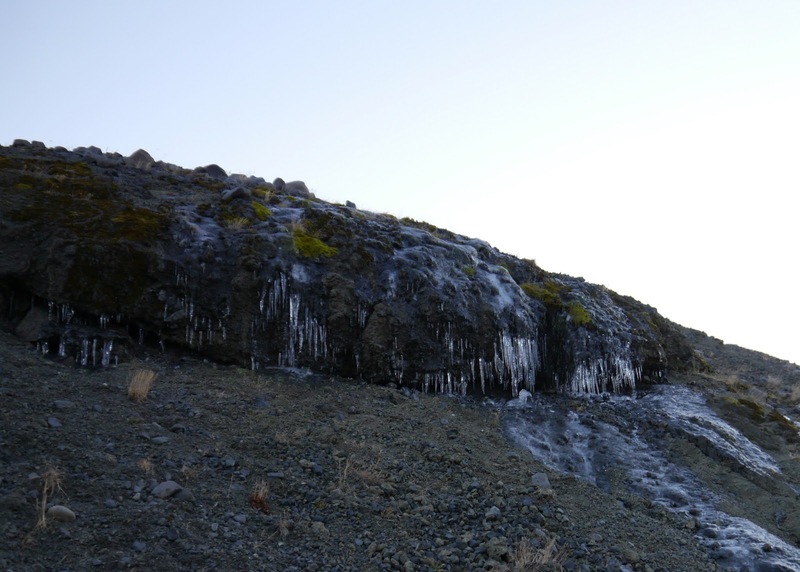 Layers of ice from over the top of the ash, holding it in place before being slowly released over the last 100 years as bits of ice melt. Some of these sink holes are as much as 100 meters deep, so avoid walking close to the edges at all cost. At -4 degrees, it was bitterly cold but the sun was shining brightly so we were very grateful for such perfect weather conditions. 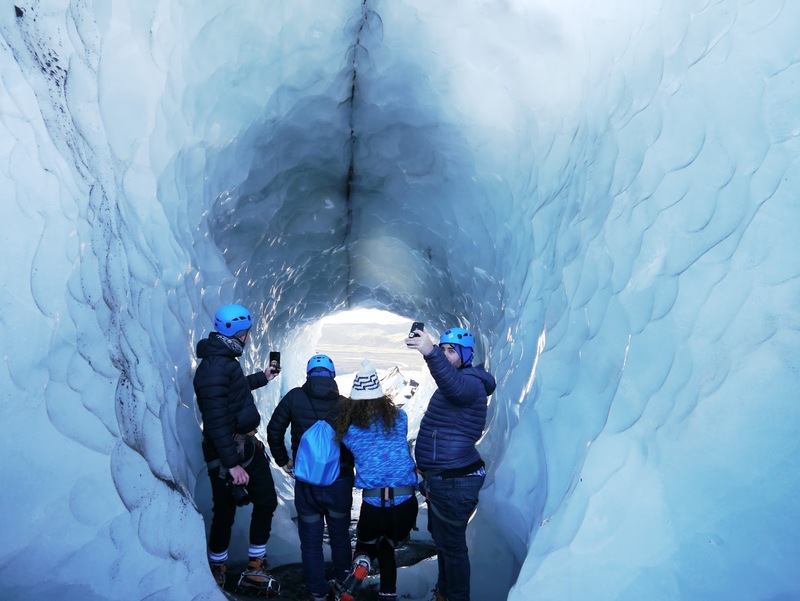 Getting up close and personal on a glacier it's undoubtedly the best way to experience the raw beauty of Iceland and admire the contrast of the white and blue glacier to the black volcanic ash all around. 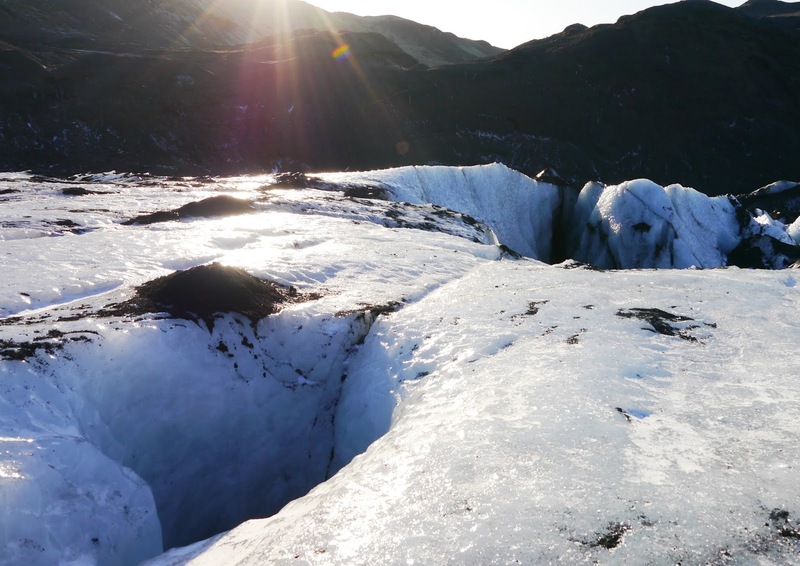 Here, you can admire the ever-changing landscapes of Icelandic glaciers. Most definitely the perfect place to stop and take a moment to appreciate what is around you. The stillness. The silence. The unspoiled nature. The feeling of calm. Impressive piece of an ice sculpture. Right, time for a climb and take on the majesty of this place. 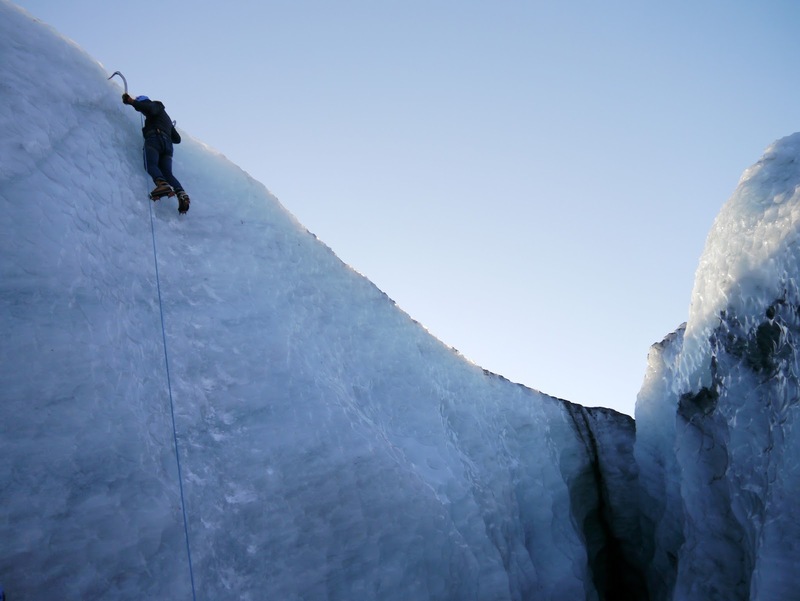 Iceland is definitely a land of ice and endless surprises. At the end of our hike, we found something pretty unique. From outside, it is just a rock covered with black volcano ash. Step inside and there is a crystalline universe waiting to be discovered. This is what you get when traveling with social media influencers! 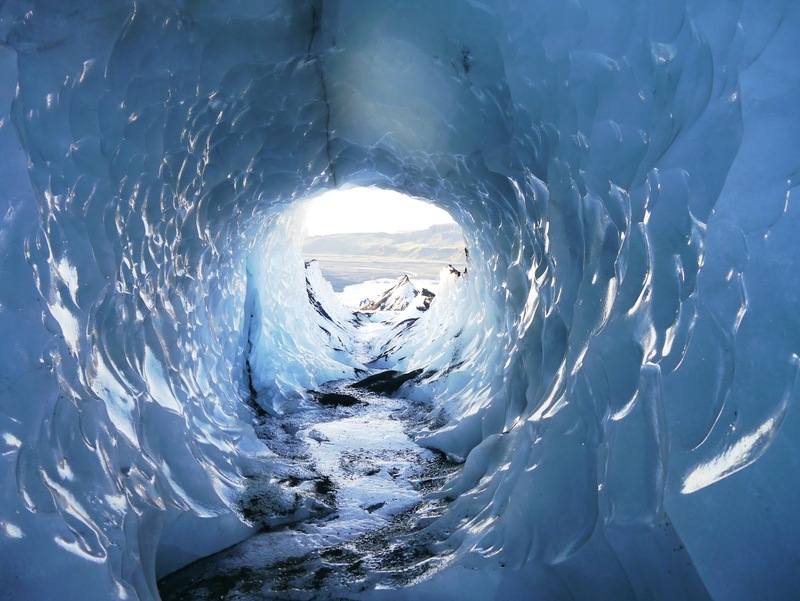 Seeing the ice cave and Sólheimajökull glacier, these mesmerizing natural wonders in person, was an unforgettable day. Thumbs up to Asgard Beyond for this incredible bucket list experience! The hike itself lasted around three hours, but it was a full day tour. 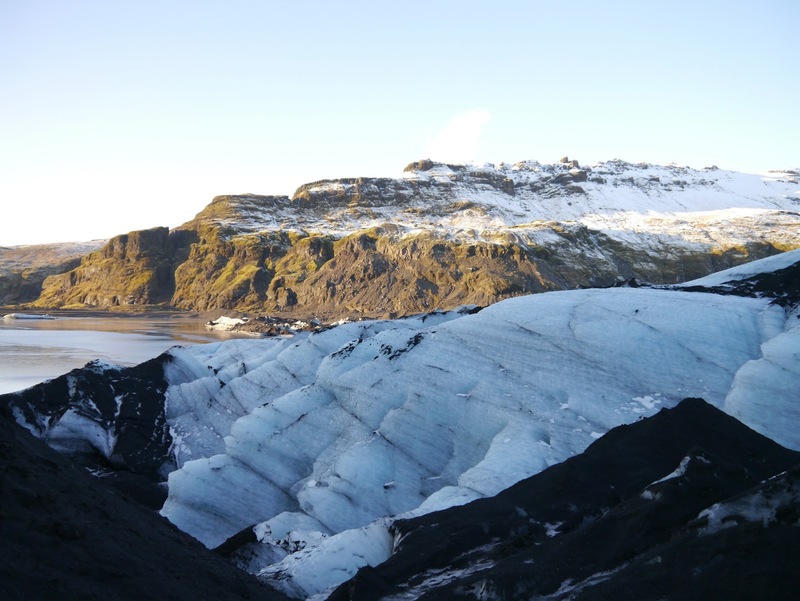 The journey to Sólheimajökull from Reykjavik took approximately 2.5 hours each way. 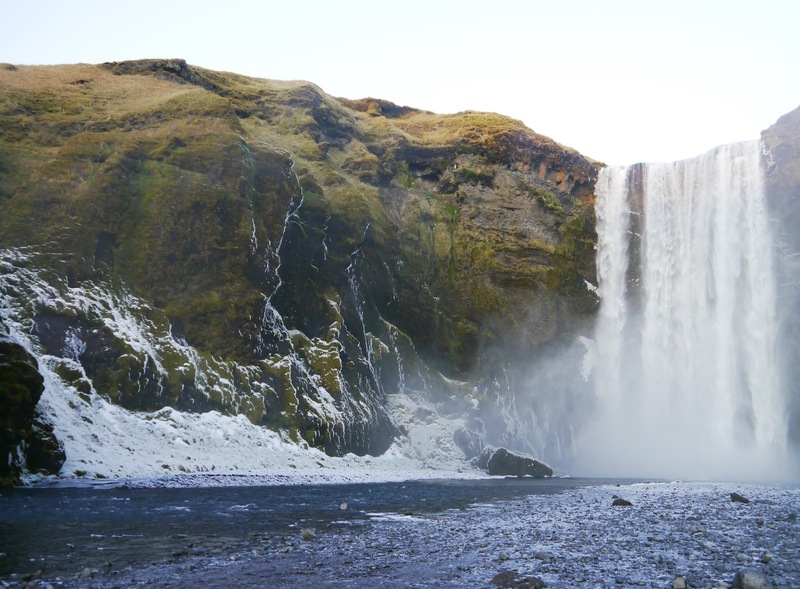 Quick scenic stop at the magnificent Skógafoss waterfall, before we returned to Reykjavik. Asgard Beyond is your expert for a knowledgeable, safe and incredibly memorable hiking experience. 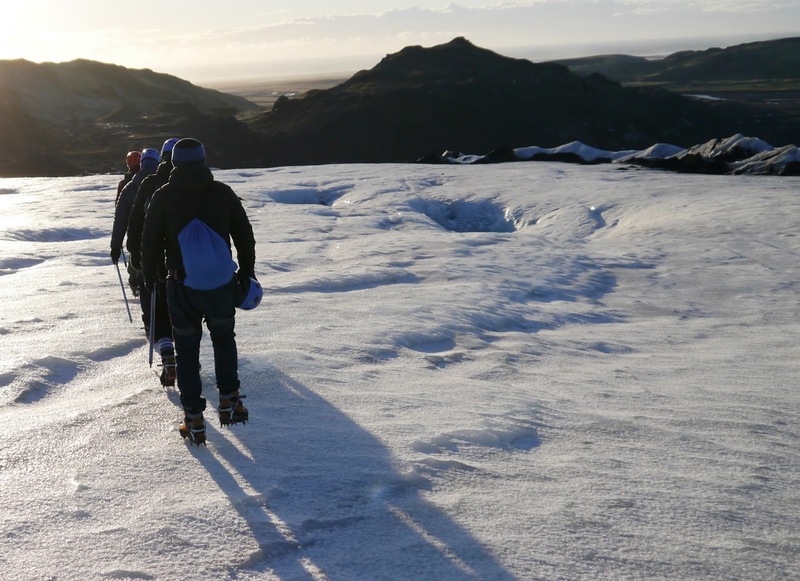 They tailor-make trips for small groups aiming to make your dream day tour come true in the Icelandic wilderness. 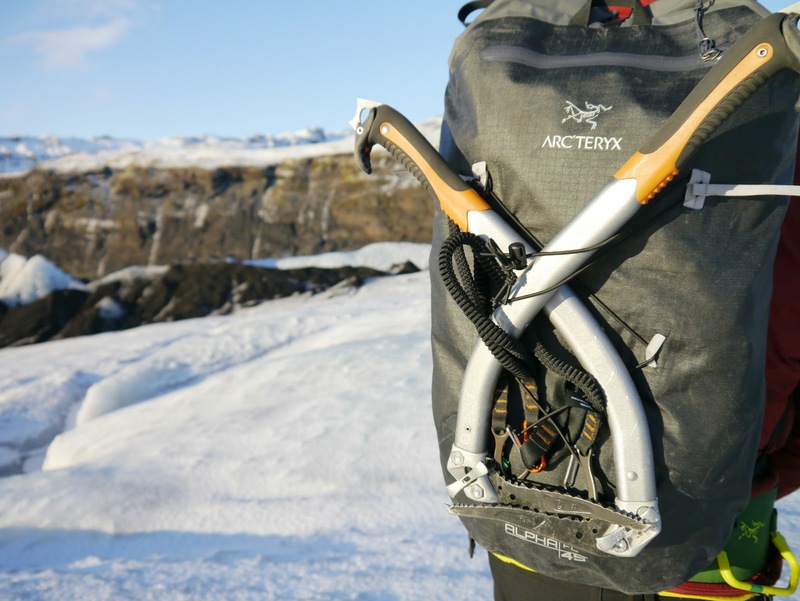 They provide all the equipment and hiking boots for you. 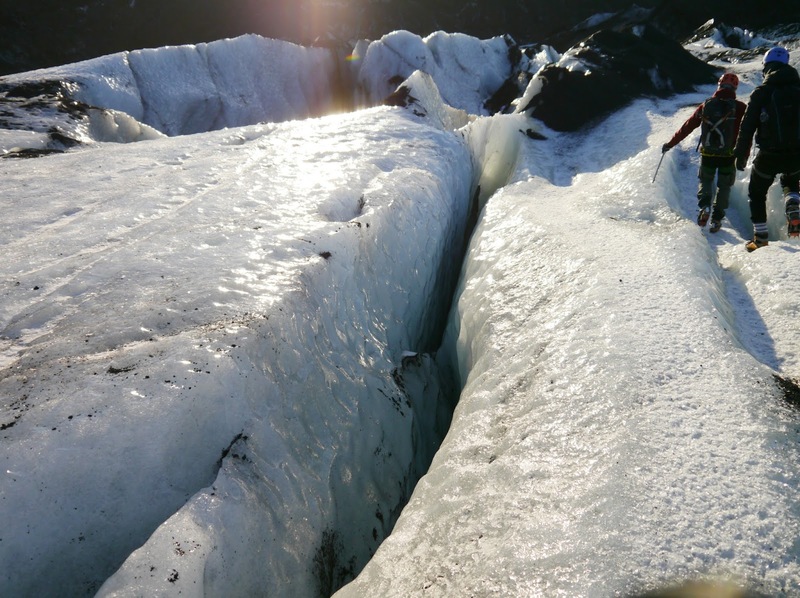 For all available day trips from Reykjavik such as ice or rock climbing, ski touring or heli tours, check out their website here.